It's asparagus season, people. While you can find asparagus outside these few months, it won't be nearly as tasty — after it's picked, the sugars start to turn to starch, which makes the stalks woody and bland. Roasted asparagus: A classic side dish that you can spice up by adding minced garlic. 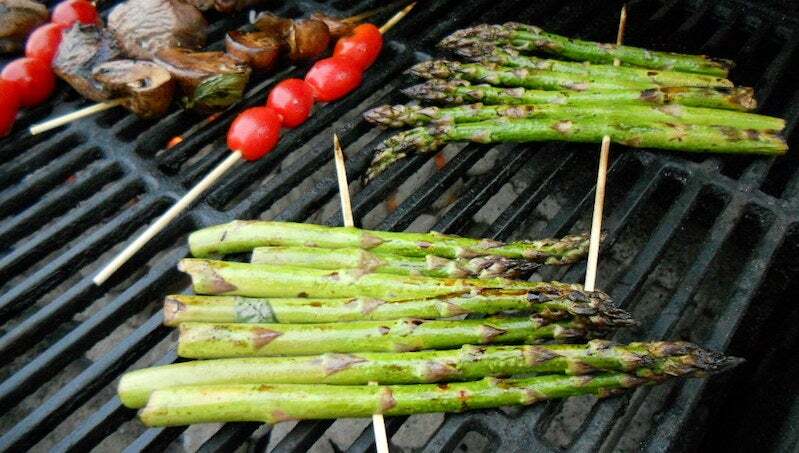 You can also grill the asparagus rather than roast them if you want to add a charred flavour. Sauteed asparagus with chorizo, fried egg and smoked paprika aioli: Asparagus goes well with salty and fatty foods, which is why the ingredients in this breakfast (or lunch! Or dinner!) meld together beautifully. Farro risotto with wild mushrooms and asparagus: The nuttiness of the farro and meatiness of the mushrooms balance the grassy asparagus flavour. If you're grilling, searing or broiling them, use stalks that are thicker since they will stand up to the heat better. Thin asparagus is better for stir fry, eating cold, or raw. You should cut the ends off rather than snap them since they aren't likely to break at the same point in each stalk.